The cute porcelain trinket boxes made of Kaolin clay can speak volumes about your love for the special person in your life. 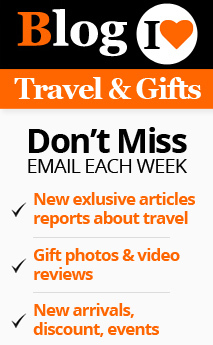 They are exquisite artifacts that are meant for holding trinkets. 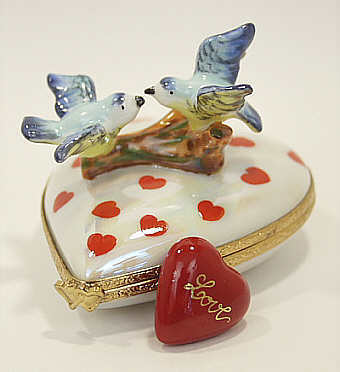 Pamper your beloved on this Valentine’s Day with a special Limoges porcelain box. You will get a variety of them in our stores. 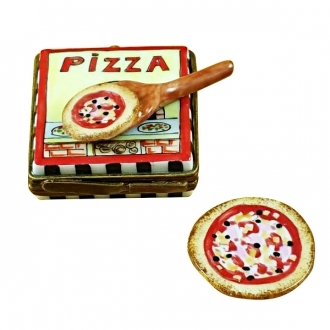 We have Limoges boxes that suit every taste. Surprise her with one of these exquisite boxes that come in every shape and color. 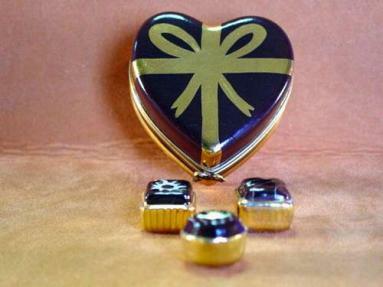 A heart shaped Limoges box with a cute message on it will cheer her up beyond measure. When the inscriptions on the box say you are always thinking of her, she is sure to be happy. The burgundy and gold beauty is another one which any girl would be glad to own. The glossy finish of the gold and the flower inlay will capture anybody’s imagination. If your love happens to be a nature enthusiast, she would like nothing better than a Limoges trinket box with an exotic flower figure mounted on it. A valentine gift is meant to express your unbridled passion for your sweetheart and it should just do that. What will be more suitable than an elegant Limoges trinket box shaped like a lady’s vanity bag? Any girl will go totally gaga over such an imaginative Valentine gift. If your special friend is an animal lover, choose a suitable animal Limoges box for her. All those animal Limoges porcelain boxes are extremely cute. There are adorable cats and dogs in different colors and postures. All of them will please a girl who is partial to the animals. Fairy tales always appeal to lovers. Cinderella and her romantic transformation has been the most favorite love theme. Have you ever thought of gifting her with a Cinderella carriage trinket Limoges box? If not, try it this Valentine’s Day. Both of you will relive the Cinderella romance once again and the magic of the fairy tale will transport you to the ultimate world of romance. Music is inseparable from love. If your beloved loves music, she will be ecstatic, when you gift her with the blue and gold grand piano floral Limoges box. The minute details of the instrument are carved in an extremely realistic fashion. 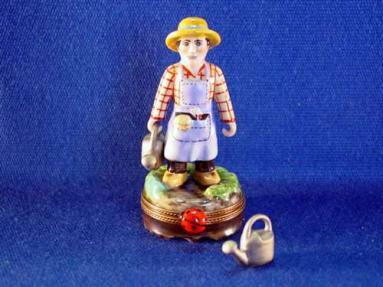 In fact, all those music trinket Limoges boxes are made with a meticulous eye for details. All of them will make very romantic Valentine’s Day gifts. The Limoges boxes were used to hold perfume bottles in them during the last century. Presenting your sweetheart with a bottle of her favorite perfume in a beautifully crafted Limoges box, perhaps, is the most romantic thing. It will add fragrance to your love. 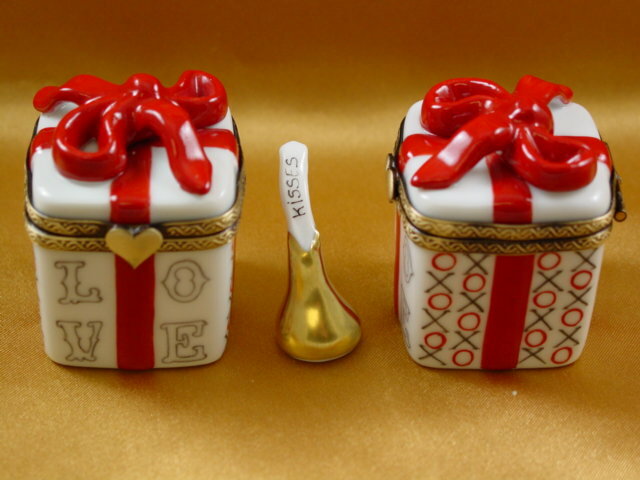 The hand painted Limoges boxes are great Valentine gifts. They suit all the varying tastes and preferences. The polished Limoges porcelain boxes are available in a variety of designs and a mélange of colors that will appeal to people of all classes and styles. They form fabulous collectors’ items. The only thing is that you should be well informed about the Limoges boxes, so that you will not be coned by imitations.